How human communities develop different identities, on local as well as national levels, and what keeps them together are questions of major historical importance. Current scholarship has the tendency to focus on politics, in particular war and conflict, as the decisive factors in processes of community building. This project develops a new approach by studying processes of identity formation from the perspective of disaster studies. The main hypothesis is that the issue of identity formation can be understood properly only when the impact of disasters (floods, storms, famines, plagues) is taken into account. 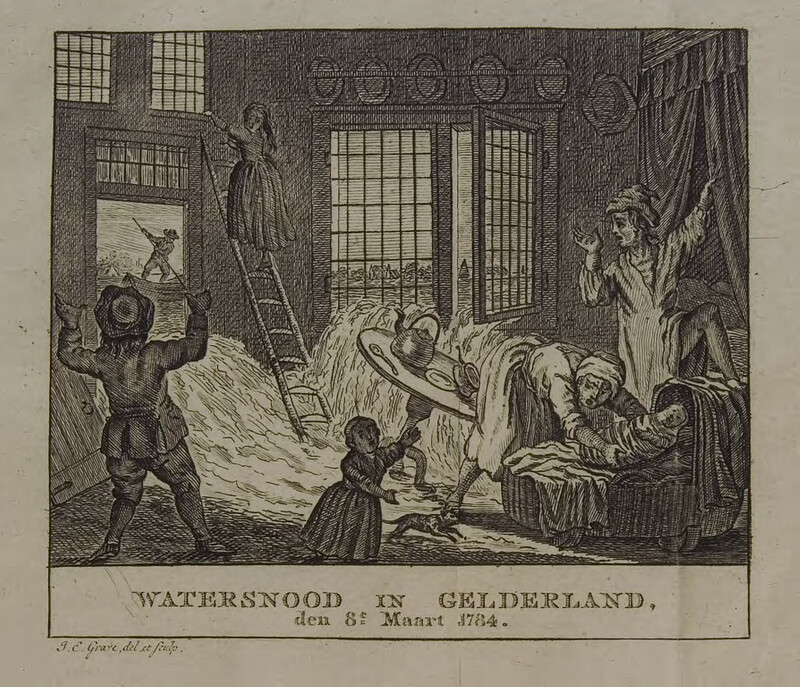 The project investigates the way local (civic / regional) and national identities were shaped in response to natural disasters in the Netherlands, starting with the St Elisabeth’s Flood of 1421 and ending with the Severe Winter of 1890. By studying the media coverage of these disasters, we seek to understand how Dutch society coped with catastrophes in the past. We postulate that disasters produced strong communal bonds and that they played a pivotal role in shaping local and national identities. We will investigate this by mapping the cultural responses in different media (paintings, engravings, newspapers, periodicals, pamphlets, popular writings, songs, chronicles). A diachronic approach will enable us not only to track historical changes, but also to point out some persistent continuities over time, such as the nation’s struggle against water. This project pioneers a new approach in identity studies by combining longitudinal historical analysis of disastrous events with an innovative interdisciplinary theoretical framework, based upon insights from four interdisciplinary fields of research: media studies, literary studies, nationalism studies and memory studies. Using new material this project is the first to uncover local and national ‘imagined communities’, which were shaped by the media landscape before the rise of mass media like film and television.